The Coen Brothers are among the most critically acclaimed directors of our time, yet their work presents critical challenges, as their films resist easy interpretation. Confusing on a first viewing, the meaning behind the movies is often veiled in mystery. This element offers a clue about the Coens worldview. The difficulty is part of the design. The viewer must wrestle with the meaning behind the movies, just as the main characters struggle to make sense of a chaotic and confusing universe. ... See More Given their apparent atheism, if we had to ascribe a worldview to the Coens, the viewer may be tempted to see them as nihilists. However, they seem to share The Big Lebowskis disdain for nihilisms lack of an ethos. Rather, the Coen brothers seem to share in the existentialists philosophical struggle with nihilism, encouraging human wrestling with ultimate issues, even if they think the struggle is unlikely to succeed. In this sense, the Coens might be grouped more safely with absurdists such as Albert Camus, who see the tragedy and comedy in the human striving for meaning, and our perpetual failure to find it. Given one of the brothers philosophical training, it is not a stretch to see their works as fundamentally Socratic in nature questioning all attempts at ultimate answers but encouraging the ongoing struggle to understand our place in a harsh universe. Though the filmmakers themselves are not spiritual, they are deeply interested in religious issues, returning again and again to the questions of faith and morality. 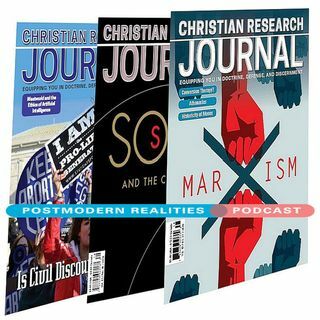 This Postmodern Realities Podcast episode is a JOURNAL author conversation with Philip Tallon about his Volume 40 4 cover article O Father, Where Art Thou? The Coen Brothers and the Riddle of Existence.